Early leak detection and identification ensure minimal costs related to remedial action. One of the methods used in this regard is leak detection with tracer gas. The tracer gas leak locator can pinpoint leaks in the water pipes, water conduits, and residential heating. Using the hydrogen diffusion method, this locator alerts users about the presence of tiny leaks. With this device, utility companies and contractors are now able to identify faults before they become dangerous. 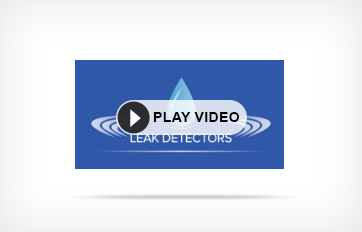 When it comes to locating and detecting minute leaks related to industrial or residential water pipes, the tracer gas leak locator is the ideal tool. Tracer gas contains 5% hydrogen and 95% Nitrogen and this is injected into the pipes. What is the benefit of using this combination? Hydrogen and Nitrogen together are non-corrosive, non-toxic, and non-combustible. Consequently, it offers complete safety for all kinds of environments, while detecting leaks. The hydrogen present in tracer gas will escape through the smallest of holes in the pipe. It can also permeate through surrounding layers of concrete, tarmac, or soil. Thus, the leak locator is able determine the number of leaks and pinpoint their location accurately. After detection,the central unit of the device notifies the user about the position and severity of the leak. The portable and compact form coupled with its simple operations makes tracer gas leak detection ideal for water conduits, heating systems, heating pipes of the district, and water pipes. The simple and easy-to-use features of the tracer gas leak locator make it ideal for varied locations and applications. It works seamlessly with different pipe materials, identifying the location of leaks accurately and quickly. The controls of the device are extremely user-friendly. You don’t need much training to operate it effectively. Its modular design helps companies to lower the maintenance costs. Plus, it comes with external/internal sensors for higher efficiency during the leak detection. Besides the above, its other specifications include the presence of both visual and audio alarm system that renders warning signals when a leak is detected. It is possible to set the alarm threshold individually to each range of measurement. Also, by pressing the reset option, it is possible to set displays with all the ranges of measurement back to ZILCH! It is possible to incorporate a new set of measurements as required after this. This entry was posted in Tracer Gas Detection and tagged Minute Water Leak, Water Leak in Pipe, Water Leak using Tracer Gas. Bookmark the permalink.